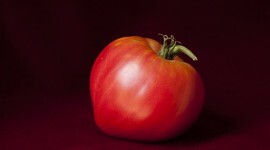 Varieties – Tomato Town organically grows heirloom tomatoes in the greater Kansas City area as well as Johnson County, Leawood, Lenexa, Olathe, Shawnee, Merriam KS, Independence MO and Kansas City Missouri, KCMO. 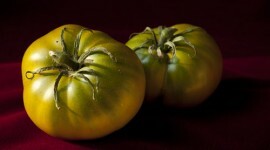 Varieties include: Cherokee Purple, Brandywine, Stupice, Carbon, Black Krim, Black Cherry, Yellow Pear, Absinthe and Aunt Ruby’s German Green. 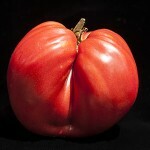 Here at TomatoTown, we’ve always held a special fondness for the the heart-shaped tomato varieties and Upstate Oxheart is no exception. The dense full-flavored pink flesh of these large fruit do not disappoint. We love them as thick slicers for sandwiches as well as sauces. 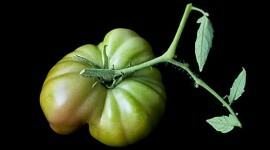 No garden is complete without a few reliably abundant and flavorful Carbon tomato plants. 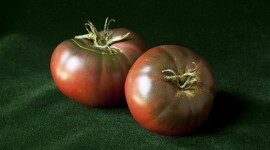 As the name suggests, it is the heart of tomato darkness and Carbon has all the complex attributes of a great-tasting, dark-fleshed variety tomato. 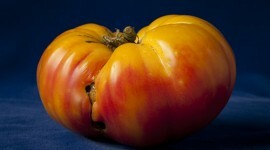 This brilliantly bicolored fruit is bold and beautiful. The taste, though not bold, does not disappoint and is lovely and subtle. And a Grandma Viney’s in a sandwich is absolutely ravishing. 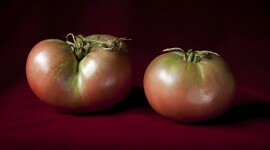 Characterized by a sweet, vividly tomato taste, Purple Haze is a revelation. 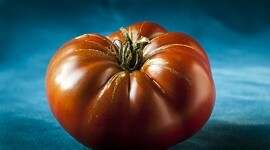 Deep purple flesh with a silvery sheen makes this tomato a stunner. 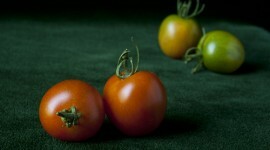 Local tomato breeder Keith Mueller’s main goal is creating tomatoes that they taste good. With Purple Haze, Mueller has outdone himself. Savor the flavor. Eat these little gems one by one. 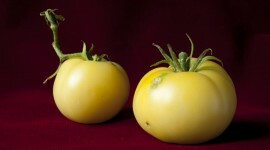 These oversized yellow cherry tomatoes, Huang Se Chieh are juicy yellow tomatoes with a fine flavor. 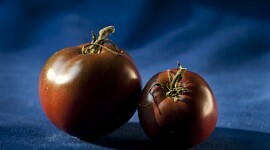 Light and fruity, these make a festive addition to salads or salsa. Rich, deep reds with fringed, green shoulders defines Pierce’s Pride. 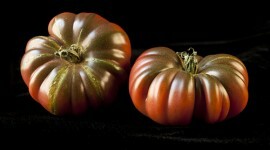 Introduced by Larry Pierce, the medium-sized beefsteaks have been a delightful addition to our collection of dark-fleshed varieties. The rich flavors and color make a distinctive BLT. Yum! 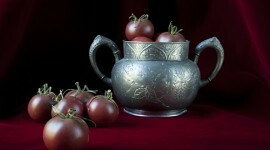 Medovaya Kaplya means ‘Honey Drop’ in Russian, and, warm from the sun, these tomatoes live up to their name. 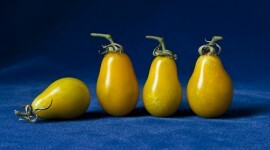 Introduced from a grower in Minsk, Belarus, in 2009, Medovaya Kaplya offers stiff competition to Beam’s, our favorite yellow pear tomato. Delicious! This is our first year to experiment growing tomatoes in containers, but we’ll grow anything dark-fleshed or otherwise unusual. It seems such a shame to put a tomato in a pot with so much garden space, but we’ve been impressed so far. We’ll keep you updated. 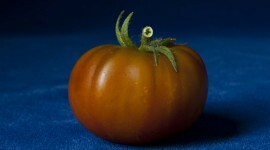 Named for the Vorlons, a fictional alien race, this tomato’s dark red flesh is pleasantly sweet and sour. Hailing from a Cherokee Purple and Pruden’s Purple cross, Vorlon was introduced in 1988. 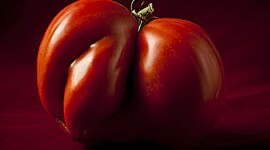 Bottom line: these aliens are welcome in TomatoTown anytime! According to the Thomas Jefferson Foundation, this green-shouldered beauty dates back to pre-Columbian Mexico. 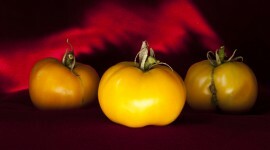 The Aztecs created the first salsa combining it with hot peppers and ground squash seeds. We love the funky ribs and the taste has an intensity that is exciting. Wednesday morning, Farmer J found Farmer T in the midst of a victory dance. 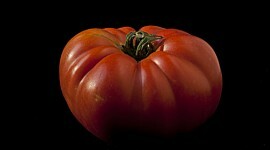 He had discovered a blushing Costoluto Genovese, a fluted Italian variety from Baker Creek. 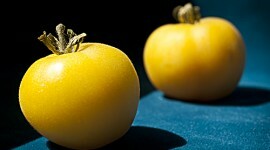 Of course, any tomato is reason to celebrate, but the first ripe fruit of the season is especially noteworthy. Tomato season has officially begun! 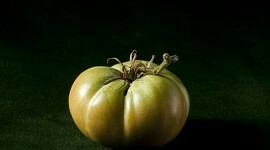 Cherokee Purple started us on our heirloom journey. Its close cousin Cherokee Green has many of the Cherokee family characteristics with some of the sweetness of the green varieties. This one is a keeper! 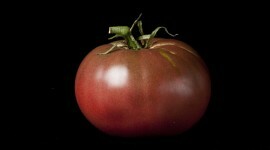 Another addition to our varieties of black tomatoes. 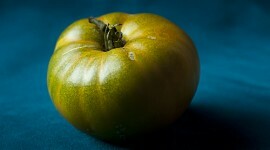 This dark tomato with green shoulders is a tasty summer treat that we have enjoyed on these sultry, summer afternoons. With cooler temperatures have come some odd spots on a few of our varieties. 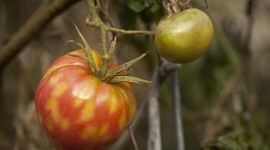 The Cuor Di Bue seem particularly prone to this variegation. 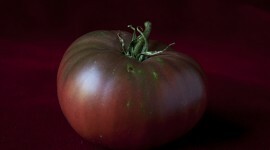 The color does not effect the taste, although after a couple tomato free months, Farmer T enjoys just about any fruit from the garden, strange or not.